It’s always interesting to take a look at what design experts pick for the hot color of a new year. But just what makes a particular color “the color of the year” and who chooses it? The good folks at Pantone describe their selection as “a symbolic color selection; a color snapshot of what we see taking place in our global culture that serves as an expression of a mood and an attitude.” That may sound a bit ethereal to you, but it actually makes some sense. When the general mood of society is bright and bold, those are the colors one tends to see. If the overall feel is a bit more subdued, that’s what shows up in the colors homeowners tend to use as well. This year, Pantone choose 15-0343 TPG Greenery as the color of the year. You can see it pictured here. It’s a fresh and zesty yellow-green shade that evokes the first days of spring when nature’s greens revive, restore and renew. The people at Pantone like to call it “Nature’s Neutral.” One of the reasons that it was chosen is that it works with so many other neutrals, bright colors, deeper shades, pastels, and metallic colors. It’s worth mentioning, however, that just because a color has been selected at the “color of the year,” that doesn’t mean you have to go overboard with it. In fact, if it’s not a color you really like, you don’t have to use it at all! But beyond that, it’s helpful to think of colors (especially brighter colors like this year’s Greenery) as accent colors that you can use selectively in combination with other—subtler—colors. Naturally, you’ll want to take other factors into consideration. What else is going on in the room where you plan to use this accent color? Does it work with your woodwork? What about with your flooring? If you plan to use this color in your kitchen, how will it look with your countertops or your cabinets? 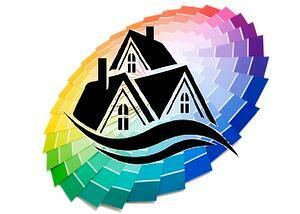 Choosing the colors that are right for your Naples-area home can be a little tricky. That’s why it’s nice to have access to professional designers when you’re contemplating a remodeling project. Color is just one factor to consider when you’re looking to upgrade your home, and a quality designer can help you look beyond the latest fad or hot color to the kind of timeless design that will look great for years to come. It’s great to keep up on what’s current when it comes to new colors and trends. But it’s much more important to have a “big picture” view of how your home can come together and be a place that you, your family, and your guests love to be.